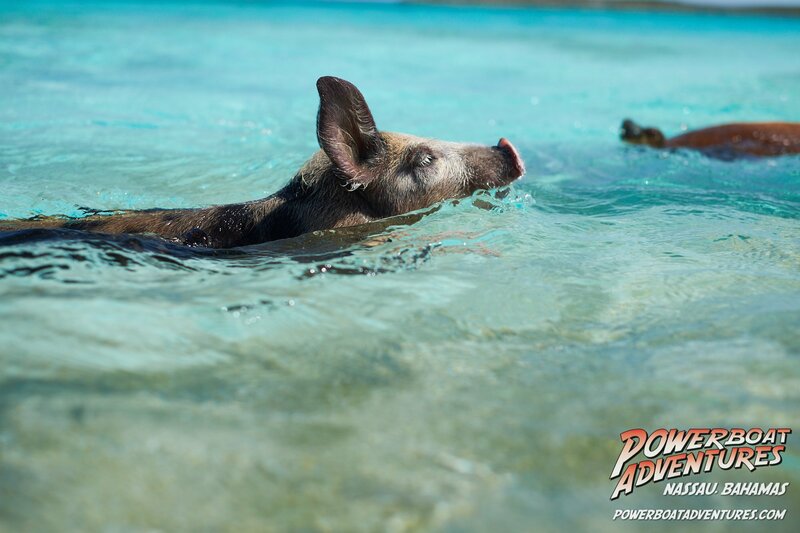 Why not come out and meet the famous Exuma Swimming Pigs on the best trip in The Bahamas! 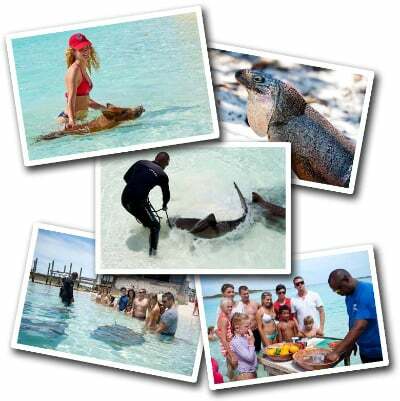 The Only Exuma Trip That Has it All! NEW! Our Famous Exuma Piggies! Open Bar – ALL FREE, ALL DAY! The Best of The Bahamas…. See us on Live with Kelly & Ryan! 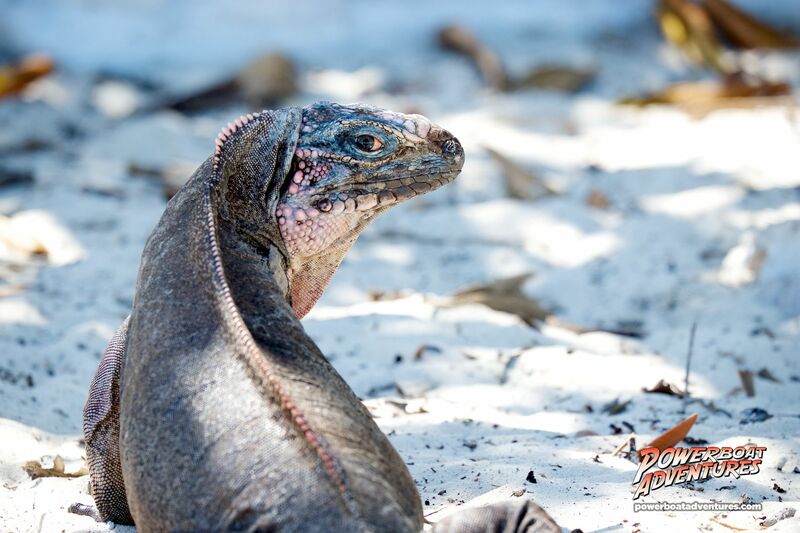 For over 20 years, Powerboat Adventures has been delighting guests from across the globe with the most amazing Exuma Excursion in The Bahamas. 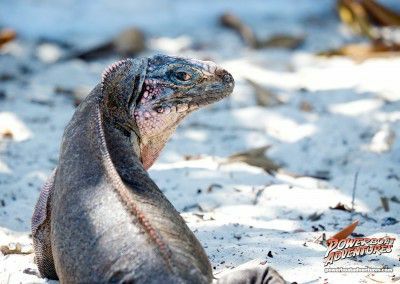 We were the original pioneers of the Exuma tour, and remain the most popular and well received day trip available. Our blend of excitement, natural beauty and impeccable service is unmatched, One key to our amazing day is our island, Ship Channel Cay. Having our own private place for our guests allowed us to build out the old cottage on the island to provide our bar, dining areas, and a perfect base to hang out in some shade. Throw in sweeping panoramic views of the most amazing water in the world, and we truly do have it all! And then there’s our wildlife… long before swimming pigs became a ‘thing’, our island was home to wild pigs that settled there long before we were on the cay. 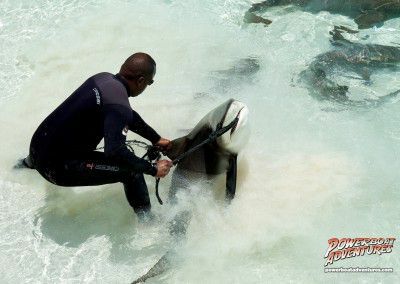 They would regularly come down to the beach and nudge a guest for a treat, or just lounge in the sun before cooling off in the water, unphased by the sharks lazily circling close by, or the stingrays gliding up and down the shallow sands. Today, the swimming pigs on the island are still as friendly, still as cheeky, and still as cute! 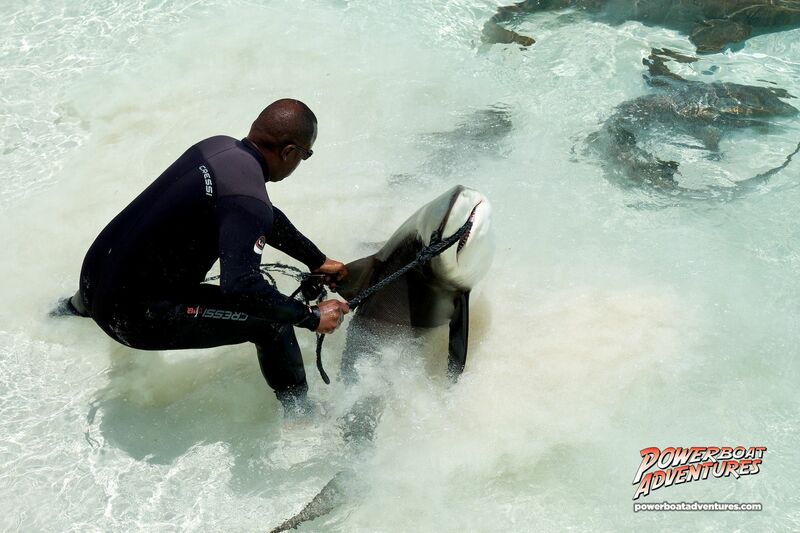 Our love and respect for the pigs, sharks and stingrays prompted us to ensure all our crew were fully trained in both handling the wildlife and ensuring our guests are kept safe throughout the day. So come, join us for the experience of a lifetime – you’re in good hands! Check us out on NassauParadiseIsland.com!